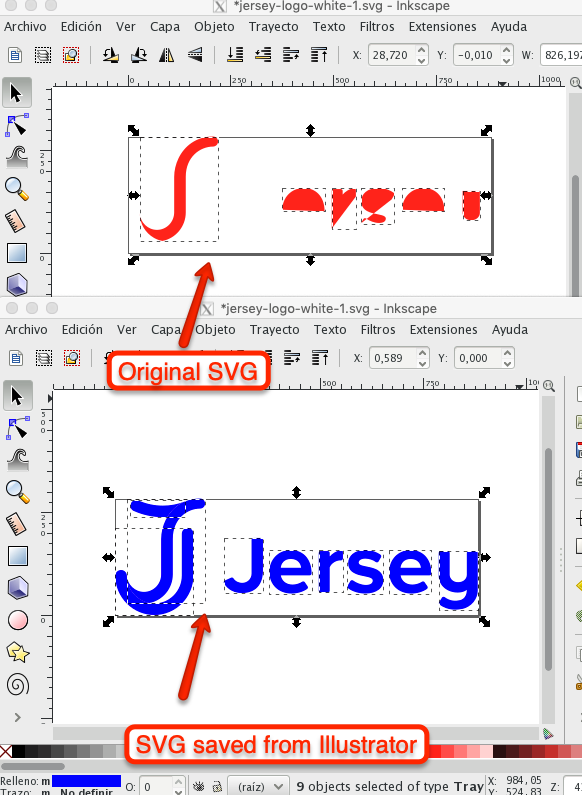 Can someone please explain why some SVGs look so different when opened in Inkscape? I've used Inkscape for a while and I am able to open and edit pretty much any SVGs, but some appear with strange artefacts and I would like to know how to resolve this. Here's an example using the logo from this website. 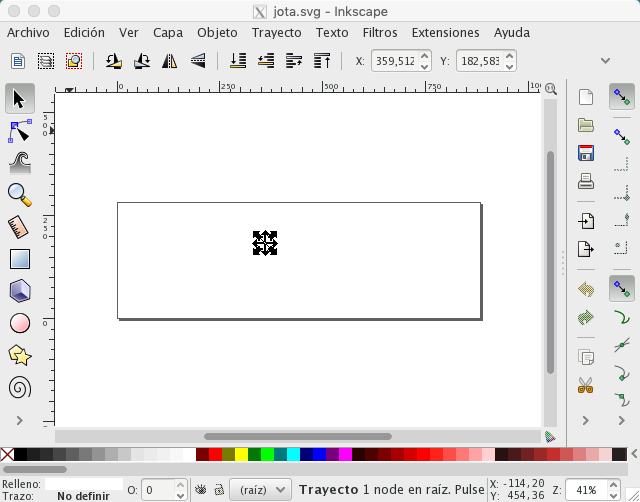 I am unable to work with this file in Inkscape and I cannot understand why. Any ideas? Checking the file with a text editor, it looks like a completely ordinary SVG. As the user @Moini comment, updating to the last Inkscape version the svg logo looks normal. This answer is for old versions issues. <svg version="1.1" id="JER_LOGO_HZ_WT" xmlns="http://www.w3.org/2000/svg" xmlns:xlink="http://www.w3.org/1999/xlink" x="0px"
Not the answer you're looking for? Browse other questions tagged inkscape svg or ask your own question. 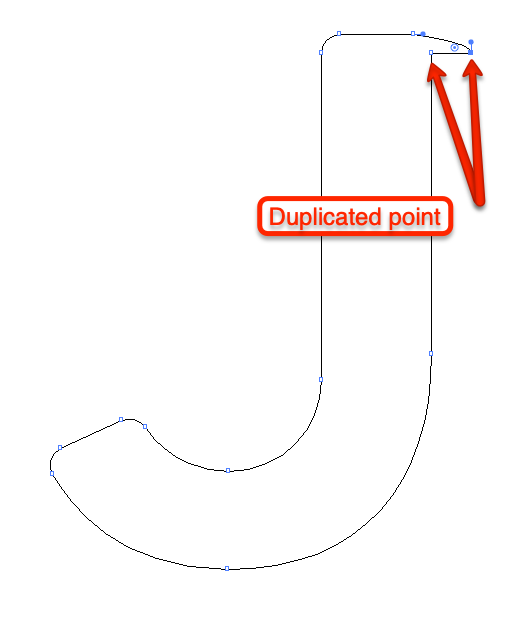 Why does Illustrator struggle editing SVGs? Vector Infographic - Why does it render differently in the web browser?